The Classic Plastic Model Club was organized in 1989 with the car modeling enthusiast in mind. The club's goal is to draw model builders together as a group and share ideas for having fun with the model car hobby. This is accomplished by discussing techniques and how-to's, showing our latest in-progress or completed projects, travelling together to model car shows, and encouraging members to shop at local hobby stores. All these topics, and others, are covered in our newsletter. In addition to the annual Model Car Exhibition that our club hosts in the Fall, we also attend many other shows on a regional and national scale. The Classic Plastic Model Club is, and always will be, a non-profit club organized and maintained for the benefit the model car hobby and its enthusiasts. 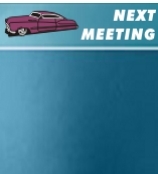 Meeting information. The Classic Plastic Model Club meets on the first Saturday of each month at 1:00 pm. If the first Saturday falls on a holiday weekend or there is a special event that day, the meeting is held on the second Saturday. All meetings are held at the VFW Hall in Lowell, Massachusetts.